John Tavera passed away on February 23, 2019 in Watsonville, California. He was 73. John was born on March 23, 1945 in San Antonio, Texas to Juan and Maria Tavera. He was around 13 years old when he moved to Watsonville. In Watsonville, is where he met his wife Rose Tavera of 40 years. John was skilled and enjoyed working on cars. He was a fan of oldies music, loved to “cruise” in his car, and appreciate cowboy movies. John loved spending time with his grandchildren. 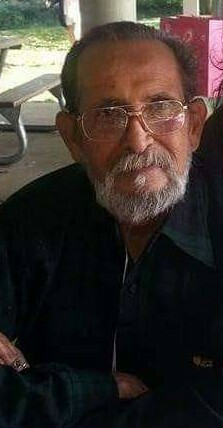 He is preceded in death by his wife Rose Tavera and is survived by his children; Ruby Lozada, John Tavera Jr., Michaela Munoz, Jason Tavera, Janette Silva, Christa Tavera, Ronette Moreno, Ruben Tavera, Diana Barraza and many grandchildren and great-grandchildren. Visitation was held on Thursday March 7, 2019 from 5-9 pm and Friday March 8, 2019 from 10am-12pm at Mehl’s Colonial Chapel with burial following at Pioneer Cemetery. Mehl’s Colonial Chapel was entrusted with the arrangements.